Tomorrow is, in many ways, the culmination of years of work and preparation. The project began as a desire to explore Iran (my wife’s homeland) in more depth, brewed steadily while I learned to speak Farsi, and came to fruition in a journey along the Iran’s longest river, the Karun, last year. Now that journey is about to be retold in the form of a feature-length documentary, Karun: Misadventures On Iran’s Longest River, on which Leon and I have spent much of 2015 working, as backers of the original Kickstarter project will know. Why is tomorrow so significant? It’s the official World Premiere, of course; the day when we declare the film complete and project it onto a massive screen in front of all the people most likely to be critical of it. To say I’m nervous would be an understatement! But then the film isn’t really about me or Leon. As I mentioned in a BBC Radio 4 interview with Razia Iqbal (airing this evening on The World Tonight), the point of the project was to let Iran tell her own story through our experiences, in counterpoint to the overwhelmingly political picture presented by the mainstream media. What better way to do that than to let an adventure unfold organically and portray the honest story of what happened? From another perspective, the story of Karun is fun, at times even comical; not words often associated with the Islamic Republic. Believe it or not, Iran is one of the most welcoming places you’ll ever visit – one of many lessons we learned about this misunderstood country. 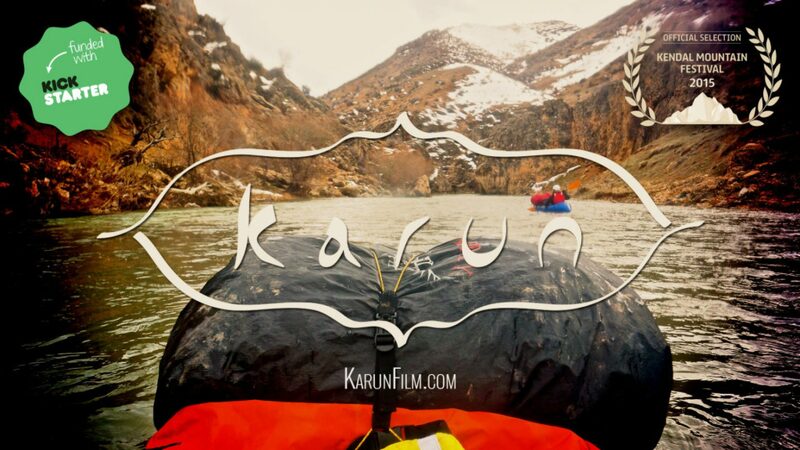 Karun: Misadventures On Iran’s Longest River will be released to the public on Monday 16th November 2015. Members of my mailing list will get a couple of surprise freebies thrown in with the download, so get signed up before Monday if free stuff is indeed your thing. On The Art Of Lowering Your Expectations & Thus Having A Better Time	Axis Of Evil – Or The Friendliest Place On Earth?